Music fans of the Pacific Northwest, hello and welcome back to our third annual year-end daily countdown, 100 Bands in 100 Days, where every day until December 31st, we’re showcasing a new band or artist you have to know about, presented by Verity Credit Union. Follow the #100Bands100Days hashtag on Twitter to stay on top of all the bands featured and make sure to follow Verity on Twitter as well. Some days the featured act could be an established and locally-adored northwest-based musician that perhaps you haven’t been turned onto yet, and other times they could be a band with a small following that just hasn’t had their deserved time in the sun yet. Either way, we’re fairly confident you can come away from this daily segment with plenty of new favorites. Today’s local band has been heralded as one of the best and most dynamic names in Seattle rock, and for good reason, Cracker Factory! Cracker Factory is somewhat of a veteran in our local scene, despite only forming in 2003. The exhilarating three-piece rock outfit prides themselves on putting their heads and talents together to create rock music that’s infectious yet quirky; memorable yet definitively experimental. They have this natural penchant for writing inventive rock music, and have explored this collaborative strength over the course of four albums, beginning with 2003’s Deep Fried Basket of Love. 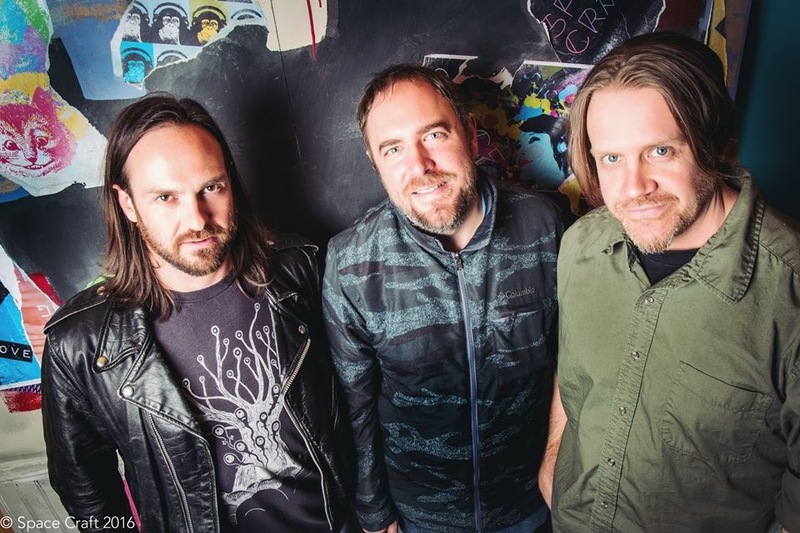 While steady progression in the band’s songwriting and performance abilities can be observed when listening to all of their albums one after another, the band’s trademark sound and vibe has prevailed from one album to the next, making them easily one of Seattle’s most dependable and consistent groups in northwest rock music. Cracker Factory may be one of those bands where you know precisely what you’re going to get going into each new record of theirs, but the band’s passion for honing and expanding on their sound feels anything but formulaic or one-dimensional. Chasing Ghosts, Cracker Factory’s latest album, was released in June of last year, and helped keep the long-running band’s name in the mouths of those in our local scene some 13 years into their career. If anything, the band’s ambition and creative drive has helped the trio steadily gain in popularity with each new project they unleash onto the world. Chasing Ghosts was an ambitious undertaking for Cracker Factory, a conscious effort to apply their singular sound and musicianship to their most accessible and straightforward album to date. It was a journey Cracker Factory didn’t feel like embarking on alone, tapping guest musicians, including Andrew Vait of fellow Seattleites Sisters and even Steve Scalfati, keyboardist in the The Late Late Show‘s house band, to help them realize their vision and help take their catchiest record out to new heights. Cracker Factory is a band that only seems to gain more and more notoriety with each passing year, and they’re a band we hope to see develop even more of a following that transcends our local scene. Those of you in the market for modern rock music that expertly uses tight, progressive musicianship to build songs you can’t help but sing along to, don’t sleep on Cracker Factory. You can follow Cracker Factory on Facebook and Twitter, and keep up with the trio through their official website, crackerfactoryband.com. You can find and purchase their music at crackerfactory.bandcamp.com. Watch the band’s Band in Seattle episode alongside Something in the Trees here.